We discussed the different kinds of machine gun purchasers/owners in part 1 of this newsletter series, and subsequently zeroed-in specifically on what would make a good entry level machine gun in part 2. In this article we will examine guns with an appeal to the historical machine collector/shooter, and also guns for the intermediate collector. The history-centric machine gun collector is moved by the allure of history in either the development of machine-guns, or by fact that they were used by armed forces, or at a particular event, or perhaps linked to a particular noteworthy individual. This kind of collector is by far the most commonly encountered and most passionate machine gun owner or would-be owner in the United States. Guns which fall into the category of “historical” also are generally the prime focus of the would-be Machine Gun investor/shooter. It is the by-far the broadest and most far-reaching of all machine gun categories. The most important element to consider when buying a machine gun is your own inner taste and motivation. Know yourself, and what appeals to you. Many collectors start out with something with some family tie or significance, or childhood memory. If Grandfather, or Father was a WW1/WW2/Korea/Vietnam Veteran there might be, or had at one time been, a souvenir around somewhere. Perhaps seeing a particular gun used in films, theater, or on T.V. may have sparked a connection or interest. I recall that once I saw Steve McQueen using a Browning Automatic Rifle in the film, “The Sand Pebbles” it only took one conversation with my Father (who had used a B.A.R. in military service) to make me determined to own one someday. The Browning Automatic Rifle is one of the guns at the top of my personal list of Historic Machine Guns. My assumption is that most people who want to buy a historical machine gun accept at the outset that they will need to invest a significant amount of money relative to the median American income. Also, I assume that most of these would be collectors want a gun that is functional, or nearly so, and they want the option of taking it to the range to shoot at least a few times with family and friends. I am going to go a step further and place a premium on a gun that can be linked either through inference, or by genuine provenance to some particular event, location, or perhaps even very specific historical instance, or person. Generally, the more “original” a gun is, the better the condition, the more linkage there is to something historical, and most of all, the larger the collector base is for a particular model relative to the number of registered specimens available will determine the $$ that will need to be spent to get the example. One can take one of the elements of the above out of the mix, but if the other elements are strong enough, they will overcome the shortcoming. For example, one collector I know personally has multiple specimens of the German MP-40 machine gun. He still seeks a near pristine original specimen for his collection. It does not matter if it only saw service in a rack somewhere until it was captured and brought to America. This particular collector already has an MP-40 with provenance to it’s capture at Omaha beach in Normandy on June 6th, 1944. Although the condition is not stellar, one can expect the only way this collector will relinquish this particular specimen would be upon his death. Significant and documented historical provenance trumps condition in almost all cases. The MP-40 has a wide collector base, is well made, very comfortable to shoot, and enjoys wide exposure and popularity in films. It is light and handy, simple to operate, and relatively easy to maintain. For the collector with historical priorities they will want a “Curio & Relic” eligible specimen over one which is otherwise simply, “Fully Transferable”. This is a legal status difference between what otherwise might appear to be identical guns. The Curio & Relic (C & R) eligible gun as pertains to machine guns is one that is (at least the receiver) essentially as it left the factory upon original manufacture, and is at least 50 years old. It may or may not be refinished, but the steel of the receiver is what came from the original factory, and it was registered under the appropriate circumstances. The “Fully Transferable” gun on the other hand was manufactured (or at least the receiver was) as far as the Bureau of Alcohol, Tobacco, and Firearms (BATF) is concerned, not by the original “factory”. The caveats, special cases, and observed or recounted anecdotes which can be applicable to “C & R” vs “Fully Transferable” machine guns would fill all the pages of a large book and is far beyond the space available here to recount. The historical collector may be content with non-firing “Deactivated” machine guns, as long as they are original specimens of their kind. These generally command lesser prices than their fully operational counterparts. These deactivated (DEWAT) guns still need to be registered, and if so, can be reactivated upon approval of application through the BATF. Many DEWAT guns are out there registered for private ownership as there were a great many registered in this way when there was an opportunity to do so in the past. In the cases where the sought machine gun is a rare model, such as the first model German FG-42 machine gun sold at Julia’s in April 2017, the specimen is SO RARE that the fact that it is deactivated is not a great deterrent to the historically focused collector. Many, many, times each year machine gun enthusiasts ask me, what is my favorite gun, or what machine gun out of the vast array I have had access to did I like the best. On one recent occasion after conducting a gallery tour of a wide variety of machine guns being offered at auction a fellow employee asked me which one I would take if I could choose any. When presented with multiple opportunities, focus your resources on the specimen which fits your interest which you are less likely to encounter again in the future, especially if it has higher condition. 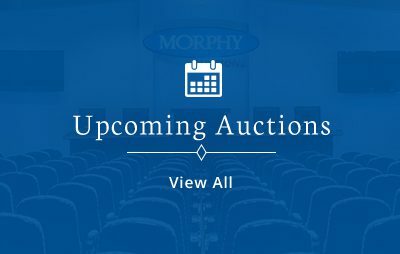 For example: There is a wide and passionate interest in WW2 Era machine guns, and in the upcoming Morphy auction there are some fantastic original high-condition C & R fully-transferable specimens. These include: WW2 German MG-42 on Lafette mount, U.S. 1918 Browning Automatic Rifle updated to A2 configuration for WW2, Near mint Matching 8mm Bren Gun with 2 matching numbered barrels, a Veteran Bring-back Japanese Type 96, a German Bergmann MP 35/I, and more than one German MP-40, and MP-44, and a high original condition Colt 1921AC Thompson which was originally purchased new for the late owner/consignor and given to him by his Step-father. Any of the above models could be the centerpiece for a machine gun collection. All are excellent. One could not go wrong on any of them if it is the model you seek. However, assuming one has limited resources I would think about what my own personal collecting focus is, and make a decision based upon what I want my future collection to consist of. If my plan was to one day have each of the different interwar German sub-machine guns (or Machine Pistols), I would go all-out for the Bergman MP-35/I. It is fairly rare as a transferable gun, certainly far more so than any of the others listed above, and a very fine shooting gun besides. On the other hand, if I desire to have a complete collection of WW2 rifle caliber machine guns, or just want one of the very most effective WW2 era light machine guns, then the 8mm Bren is the obvious choice. Again, scarcity, 2 matching numbered barrels, condition, and chambered in available caliber. If one has, or aspires to have a collection of German WW2 machine guns, and does not yet have an MG-42, then this model is the obvious choice with the wonderful assortment of spares and accessories included with this particular lot, combined with outstanding original condition. -Popularity, Rarity (in status, as well as in model), Condition, and Provenance. Add in consideration for included accessories. But remember, what trumps everything is your own personal connection or interest in a particular model, or event, or theme. I am here at Morphy Auctions to help with advice & expertise, but nobody knows you better than you ! Seek what ignites your passion and interest, and find a way somehow !